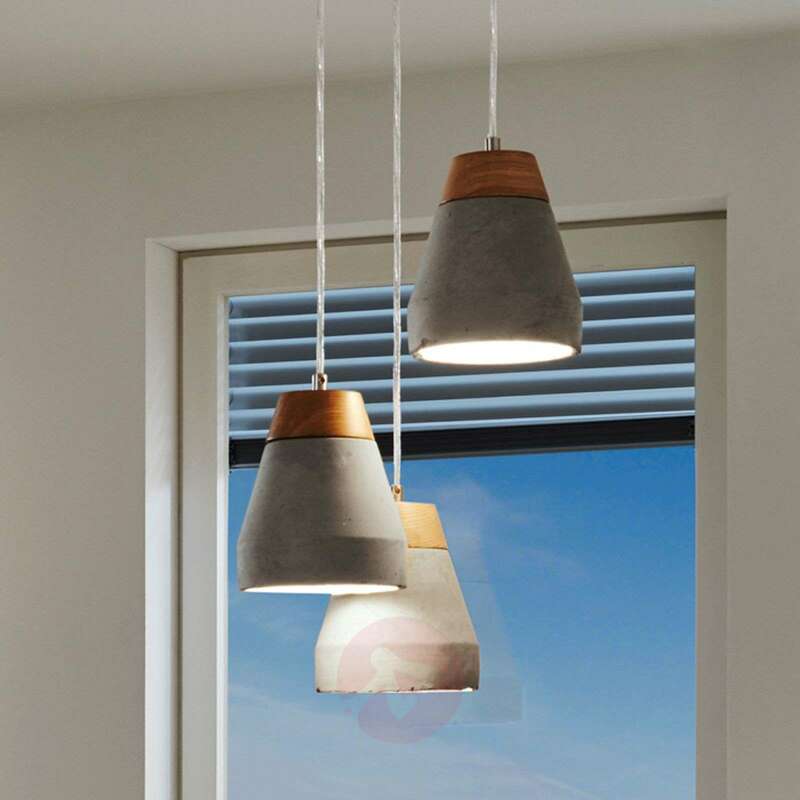 The stylish Tarega pendant light features three lampshades made from concrete and wood. 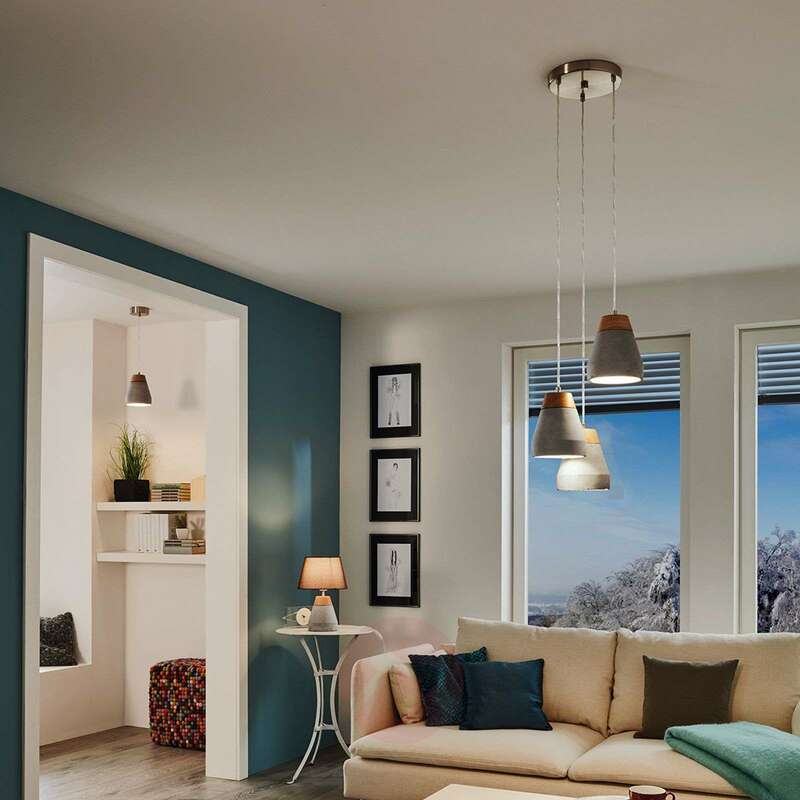 They hang at different heights from the round ceiling canopy to create a decorative lighting object that will add an extra something to all modern living rooms. The lampshades are open at the bottom so that the light is bundled and directed into the area below: The ideal way to illuminate tabletops. The combination of wood and concrete lends the light both a modern and industrial feel. It says the diameter is 25cm. Could you confirm if this is for each individual light? 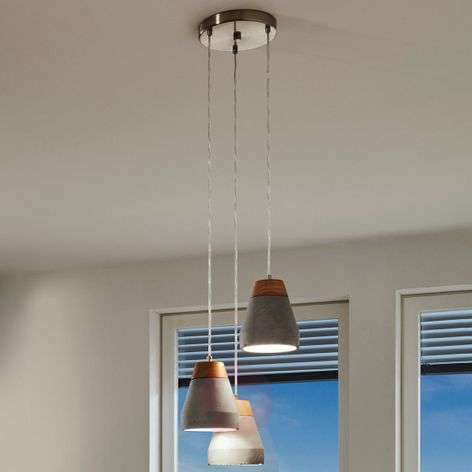 Unfortunately the manufacturer does not provide the individual diameter of the individual light. 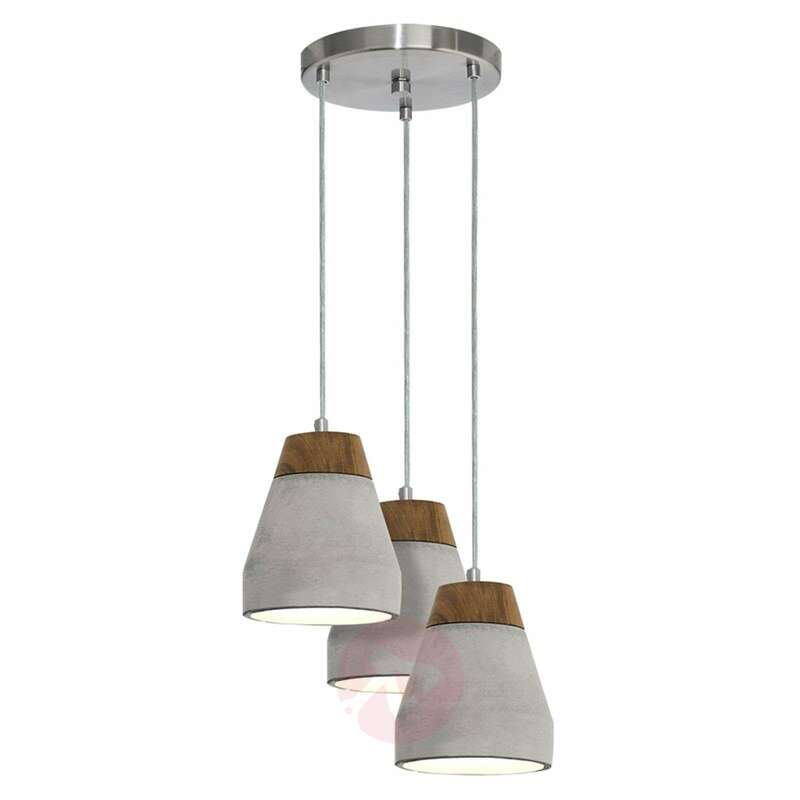 The 25 cm diameter refers to the ceiling fitting.